Parris Sarter and Grant Chapman. Photo by Ashley Earles-Bennett. "What does it mean to be an American? 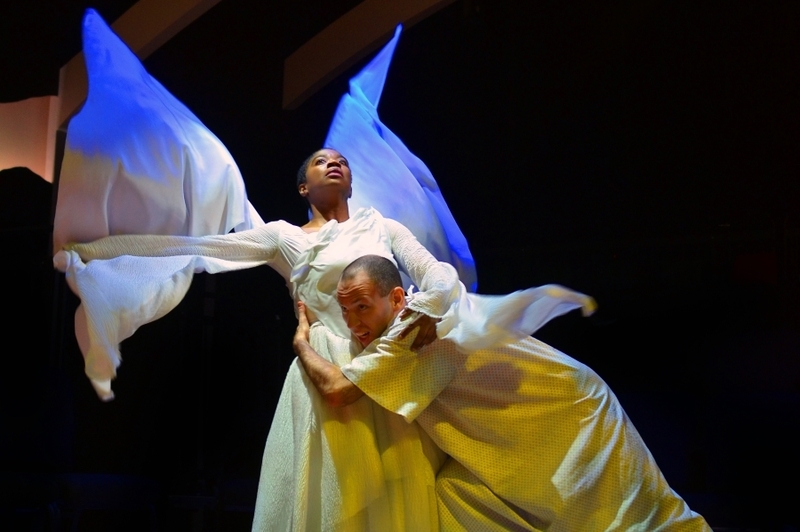 When Actor’s Express artistic director Freddie Ashley and his team decided to stage both parts of Tony Kushner’s gay fantasia Angels in America, this was a question they felt was begging to be answered." American Theatre goes in-depth behind the scenes of the AE production with exclusive interviews from the directors, cast, and tech team.